"It’s so different compared to other toys. I love the colours and textures for Flynn to explore. 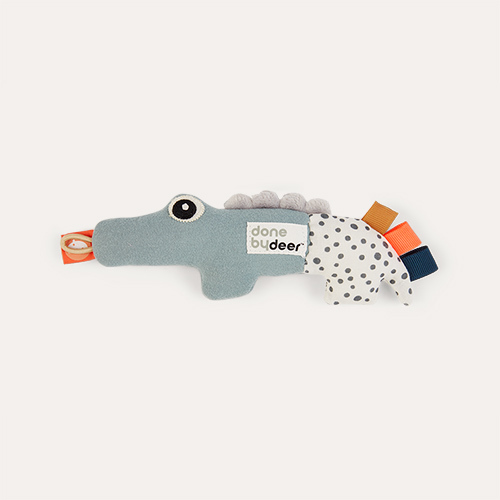 It’s one of the most stylish teething toys I’ve seen with the Scandi design." "Flynn is fixated by the feel of the string and loves chewing it. 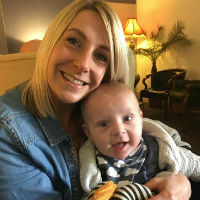 It has complimented his explorative nature and still keeping him entertained after a week of play." "We love a product that's been thoughtfully designed for its audience. 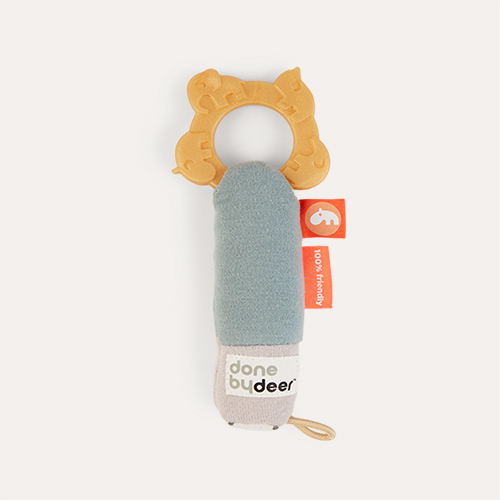 This baby rattle is 100% perfect for 4-6 month olds." The Tiny Activity String Rattle Antee is suitable from birth but ideal for babies from four to six months, as they perfect their gripping technique and start to use both hands at the same time. The rounded handle, designed for little mitts, has a little rattle inside and the looped strings are really appealing for babies, who will love to feel the strings pass around their fingers. There's also a little wooden teething ring, perfect for this age, as first teeth are often starting to make an appearance.